I always think being honest with you is important. Heck, there are enough people online making sensationalized statements on the internet, I hope our transparency strikes a cord with you. It can be hard to admit things, such as I’ve never had great mobility and have battled most of my life to have good hip mobility. The fact I can’t do the splits or cool mobility demonstrations should keep me from giving you the TRUTH about building better hip mobility? Hopefully knowing my own struggle makes you see the science I am going to present to you as real truth. Okay, why DON’T I have great hip mobility if I have all this great science and know how to bring it into the gym? Well, first off, growing up I was a COMPLETE klutz! I spent so much time in the orthopedic’s office my Dad liked to joke that I paid for the wing of the hospital. I was your typical kid that hadn’t grown into their body early on and of course it doesn’t help that I don’t come from a family of great athletes. Broken bones, bad sprains, you name it, I had done it. Why does this matter though? Once you have trauma to your body, EVERYTHING changes! When you have multiple traumas, things get even worse. Sure, bones heal, sprains don’t hurt as much, but the damage has been done to the structures AND to your nervous system! That stinks right? Especially because most of us have had at least a sprained ankle at one point or another in our lives. Combined with the fact that I chose basketball for my sport for ten years (no ankle or foot problems there right? 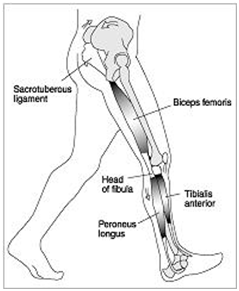 ), my feet and lower extremities are pretty messed up. Heck, I played one year on a stress fracture in my right foot and tore pretty much every ligament in my right ankle. Outside of getting some much needed sympathy (JK! ), why am I telling you all this? Because people waste A LOT of time tying to improve their hip mobility by focusing JUST on the hip! Listen, we are ALL super busy and need to make our training time as efficient as possible. So, wasting time on anything is frustrating, but especially when it comes to something as important as having good hip mobility. Lack of hip mobility will of course impact your exercises like squats, deadlifts, cleans, lunges, and so much more, but it will also impact your upper body as well! The shoulder has a close connection to the the core and hip that’s why we spend so much time talking about “linking” the body in our DVRT exercises. Basically, if you want to see progress in your training hip mobility is really important. However, even more so, is how we approach our hip mobility training. I’ve sadly seen the regression to trying to isolate the hip in order to improve our mobility. I get it in the sense that if something seems immobile we should focus on that area. However, that really doesn’t make sense if we are emphasizing functional training. I wouldn’t improve your squat, for example, by isolating your quads, then glutes, then hamstrings, then abs, etc. (you get the point). More integrated solutions work better because that is how our body is structured. The deep longitudinal system of the body shows how everything comes from the ground up and how our feet can impact even our upper body! In order to help you see why our “weird” looking DVRT exercises make such a difference in hip mobility check out what renowned physical therapist, Gray Cook, says about your hips! 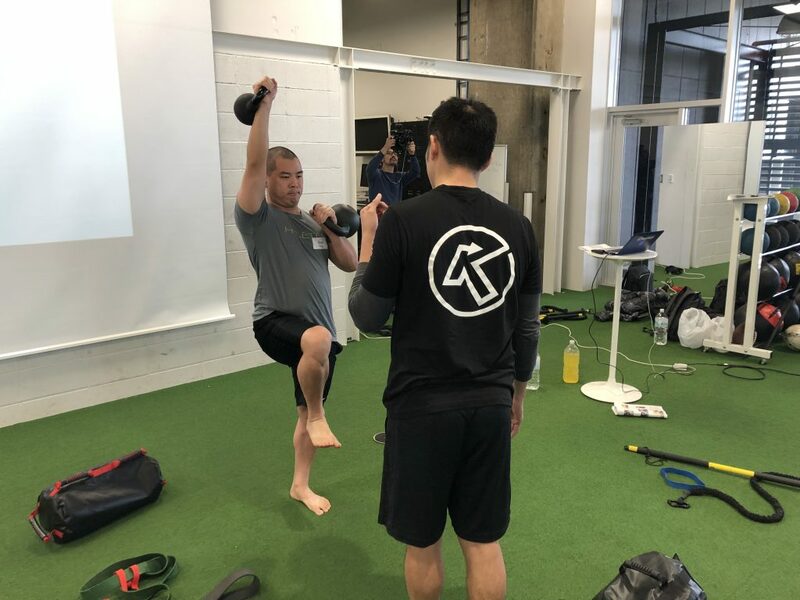 DVRT exercises like Greg Perlaki shows, makes us use our feet, engage our body from the ground up and the tension against the Ultimate Sandbag helps our core become more active. “But Josh, I’ve done some of these drills and my hip mobility seems to go back later on?” I’m sure you have a question like that or have a client that your’ve tried these strategies and next time you see them their hip mobility isn’t great. What’s up? Here is the reality, let’s take me for example. To say I’ve had my fair share of injuries is an understatement. I have significant structural changes and even when I walk my body is going to find some compensation. Will my hip mobility ever be “fixed”? Probably not. The key though is knowing how to HELP my hip mobility. Whether it is getting ready to train, or if I’ve sat for awhile and I can really feel it! Even simple DVRT drills can be powerful if we pay attention to the details! If we can’t engage the feet, we still want to use the lower body which is why we use the band around the legs. The same can be said for many of you who are stuck sitting at a desk for a long period of time, or those that have hobbies like running or obstacle course racing, or just going out and having a fun sports weekend with the family/friends. We tend to think that reps of an exercise can solve the 168 hours in our week that is largely dominated by other things. Instead, we should think of how to manage our bodies rather than just fixing them. Practicing and using DVRT drills like these in your warm-ups or off days are great ways to facilitate better hip mobility and recovery from your training. The reason we spend time trying to educate people on how the body works is that it helps YOU understand what makes for good exercise and the best use of your limited time to train! We believe education is knowledge and knowledge is power!